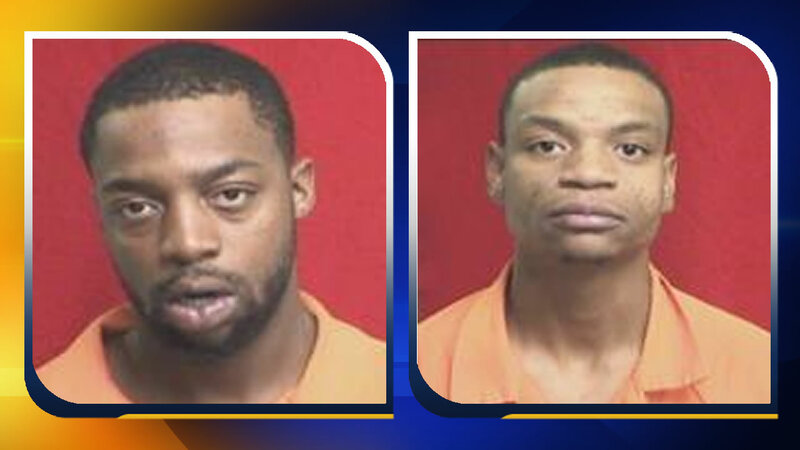 HENDERSON, North Carolina (WTVD) -- Henderson police officers responding to a domestic juvenile call became involved in a shooting and short car chase Saturday after they heard gunshots in the neighborhood. Officers were in the 400 Block of Orange Street, talking to family members in a yard when gunshots rang out at the intersection of Walnut Street and Pettigrew Street. Police said the shots were coming from a gold Lexus, which then sped toward the officers at a high speed with the passenger "still brandishing his firearm." A Henderson officer fired his weapon at the Lexus while the second officer returned to his patrol car and gave chase. Less than a block away, a passenger exited the vehicle and ran from the car. Within the next block, the vehicle stopped and both the driver and rear passenger were taken into custody without further incident. The driver sustained a single gunshot wound to his lower leg. He was taken to a medical facility for treatment and released back into police custody. The suspect who fled on foot remains at large. The two suspects in custody have been identified as Randolph Jones, Jr. and O'Sha Dyshon Jones. They are charged in the shooting of the injured woman. An arrested warrant has been issued for the third suspect, Devontay D. Richardson. He has not been captured. As is standard in officer-involved shootings, the State Bureau of Investigations has been called to review the incident and the officer involved has been placed on administrative leave. Anyone with information about this case is asked to contact the SBI or Henderson Police Department. Callers may also call Crime Stoppers at (252) 492-1925 or by using the P3 app on a smartphone or tablet device. Callers may remain anonymous.